Sparta Nutrition Kraken Pre-Workout is a solid staple of a pre-workout for anyone looking for energy, pumps and focus. They give us a tri-blend FULLY disclosed label (down to the flavoring) of the product. To boot, it rivals the competition on price but includes isolate, concentrate and casein proteins to give you a solid feeding system. Overall, Spartan Whey ends up being one of our favorite proteins of all-time! This is one of the best, if not the best, tasting protein we’ve ever had. It features delicious cereal flavors BUT it also features high quality protein sources. They nailed this line. If you’re looking for an amazing tasting protein powder that also features high quality, fully disclosed protein sources, then Superior Protein is the king. Isolit is a delicious protein powder that mixes nicely and gives you the benefit of 25g of protein along with 25mg of digestive enzymes for gut health. Overall, we really liked this product and what it had to offer and their flavoring was on-point. If you want a solid tasting protein powder – Isolit makes the list!  Welcome to the Fitness Informant Exclusive Deals Page. You will find that our deals page is much different than others you’ve seen online. Why? We only find and show you deals on Fitness Informant approved supplements and brands. What does this mean for you? It means you are only going to get deals on high quality supplements. While other companies show every deal possible to pad their pockets with commission dollars, we truly care about your health and fitness and want you to only use and buy the best products available. You will never find pages and pages of deals here at Fitness Informant. This is because the brands and supplements we approve of are of the highest quality. This means that they invest in their products and rarely have marketing dollars to do big promotions. Don’t worry, however, we have exclusive contacts with the best companies in the world and will post any worthy deal of any FI approved brand or supplement right here.